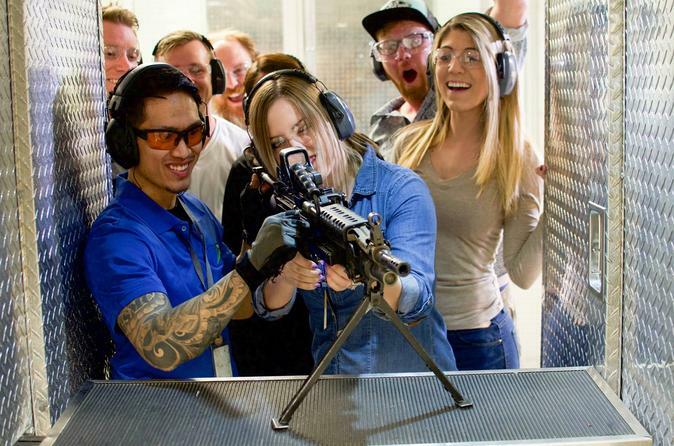 Discover the largest indoor shooting range in Las Vegas. Explore this 5-acre facility filled with military vehicles, tanks and helicopters. Then take aim with one of five shooting packages, featuring a Glock 17 (20 rounds), 9mm handgun (10 rounds), M4 (25 rounds), Smith and Wesson 12-gauge shotgun (10 shells) and more. Professional instructors available. Eye and ear protection plus a hotel pickup and drop-off are included.